What could have been? At the time of this fumble the Steelers had a 74% chance to win according to an in game win probability model. A score on that drive could have been a knockout punch. Instead Manning found some magic, and three weeks later he was hoisting the Lombardi Trophy and plugging Budweiser. What many forget about this game is how beat-up the Steelers were. Lord knows what large Ben put in his body in order to be able to play. In the ground game, they were down to their third-string running back. Le’Veon Bell went down earlier in the season and DeAngelo Williams who had done a great job filling in was out for this contest. They were also missing some guy named Antonio Brown who caught a few balls during the season. I am sure many Steelers fans wonder what could have been if this team was at full strength. That is an impressive resume when you take into account that Roethlisberger missed four games and Bell only played in six. The offense really hit its stride in the second half of the season. Over their final eight games, the Steelers posted 28+ points seven times. The offense will look to carry that momentum over into the 2016 season. The charge will be led by the right arm of Ben Roethlisberger who averaged 328 yards per game in 2015. The Steelers offense has taken on many different identities since Roethlisberger took the reigns back in 2004. Currently, the identity is to spread the defense out and let Ben do his thing. Last year, his 39 pass attempts per game were the most of his career. When you have weapons like Antonio Brown, Martavis Bryant, and Markus Wheaton it makes sense to air it out and force the defense to matchup. Add in one of the best pass catching backs in Le’Veon Bell and you can see how an opposing defensive coordinator could lose some sleep when prepping for the Steelers offense. Sadly, for the Steelers they will be without Martavis Bryant who earlier in the offseason was hit with a minimum one year suspension for violating the league’s substance abuse policy. Wheaton deserves consideration to step in as the number two receiver behind Brown. He showed potential last season, especially in Seattle when he torched the Legion of Boom for 9/201/1. On the other hand, he was wildly inconsistent at times and cited a lack of chemistry with Roethlisberger as one of the reasons. The receiver who might be best suited to fill the shoes of Bryant could be one who drew direct comparisons to Bryant during the 2015 combine. Here is an excerpt from Sammie Coates draft profile, keep in mind this was written before the draft and anyone knew he was going to be selected by the Steelers. If you want to read his full profile you can check it out here. Coates didn’t play much as a rookie. In an interview earlier this offseason he talked about how his lack of conditioning was the downfall of his rookie season. He did however finish year on high note, making this play against the Broncos. Only time will tell if Coates turns out to be a clone of Martavis Bryant. Either way, this offense is going to be an elite group that will be able to shoot it out with anyone. Antonio Brown is in the conversation for the best receiver in the game right now. Also having a dynamic one-two punch in the backfield with Le’Veon Bell and DeAngelo Williams makes it impossible for teams to ignore the running attack. It should shock no one if this offense leads in the league in many offensive categories this year. The Steelers defense has fallen off in recent years. They held their own from a points per game perspective, finishing 14th in 2013 and dropped to 19th in 2014. While 14th and 19th in points per game is not ideal, the biggest problem for the defense was they failed to create the explosive, game-changing plays. In 2015, under new defensive coordinator Keith Butler the big plays returned. They improved their sack total from 33 in 2014 to 48, which was the third best total in the league. The 30 turnovers they created were also good enough for third in the league. Although they finished outside the top 10 again in points allowed per game, it is much more palatable with the splash plays factored in. The Steelers have a strong nucleus of young talent centered around Ryan Shazier, Stephon Tuitt, and Cameron Heyward. They also put an emphasis on getting younger via the draft, making their first three selections from the defensive side of the ball. Corner Artie Burns and safety Sean Davis will have the opportunity to make an immediate impact on a defense that ranked 30th against the pass allowing 272 yards per game. If you ever want to win a bar bet, strike up a conversation about who the fastest player on the Steelers team is…. One of the top priorities for this season will be to perform better than 3-3 in division games. Losing both games to the Ravens, especially the Week 16 matchup with so much on the line has to leave a sour taste in their mouth. They will face the Ravens in Week 16 again this year, this time at Heinz Field. Week 7 could provide an early preview of the AFC Championship game when the Patriots come to the Burgh. Week 11-15 is a huge stretch for the Steelers and will likely make or break their playoff run. In that five game stretch they play four road games. The ONLY positive I can draw from that is there aren’t any west coast games mixed in there and the travel is reasonable. Week 15 at Cincinnati after playing three of their previous four games on the road is going to be tough. Fantasy football history will be made in many leagues this year. It is rare to have two players from the same team go in Round 1, but to have teammates go first and second overall would be historic. It is still early, and a lot can change, but as of right now the number one and two players according to FantasyPro’s ADP (average draft position) is Antonio Brown and Le’Veon Bell. It is not hard to make a case for Brown. Look no further than the 136/1834/10 he posted last season. Oh yeah, by the way he only played 12 games with Roethlisberger. In the four games that Big Ben missed, Brown managed only 17/235/0. Here is a crazy stat. In his last 16 games in which Roethlisberger has played at least 70% of the snaps, he has recorded 152/2039. If both can stay healthy for all 16 games this year, there is a good chance we see some receiving records go down. I do have one question for Steelers fans. How do you feel about Antonio Brown returning punts? While I don’t agree with it, him returning punts did provide football fans with one of the greatest moments ever. In a vacuum, it gives the Steelers the best chance to win games, so it’s hard to argue it. However, I don’t know that the injury risk is worth it. Sure, I get that a player can get injured on any play. The last down that Antonio Brown played is proof of that. Being a punt returner has different risks associated with it. All it takes is for a guy trying to time up a big hit get there a half second early. The case for Le’Veon Bell to be a top two pick is a bit more complex. Anytime a player suffers a season ending injury there is going to be some concern. Bell recently posted a video of himself doing some agility drills. He seems to be moving well and barring any setbacks he should be ready to roll Week 1. Bell had a monstrous 2014 season posting 2215 total yards and 11 touchdowns. Anyone who owned Bell that season will remember the sweet stretch from Week 12 to Week 14 in which he totaled 200+ total yards and at least one score in each of those games. Walter Payton is the only other player in league history to have three consecutive 200+ scrimmage yard games. That type of upside is hard to find. As long as he doesn’t have any setbacks in camp/preseason, I would have no reservations in taking him with one of the first selections in fantasy drafts. Coates is currently the 64th receiver coming off the board. I actually hope he has a relatively quiet preseason to keep his value down. If he makes a few plays, I could see his name generating some serious buzz come draft time. I laid it out above, this guy is basically Martavis Bryant 2.0. Last year, in 11 games Bryant posted 50/765/6. Green sits under the same umbrella as Coates. Both are unproven, but both have huge upside. The reason they fall into different categories is the 117 picks that separate them. Green showed flashes as a Charger, but being behind all-world tight end Antonio Gates limited his playing time. For Steelers fans who aren’t familiar with Ladarius Green, let me offer this to you as an example. Think about Heath Miller in the later stages of his career. Now picture the exact opposite and you have Ladarius Green. Heath was a do it all player who served as the safety valve for Roethlisberger. If it was 3rd and 5, Steelers fans could count on Heeeeeeeeath for a six-yard conversion. Green could eventually turn into that type of player, but for now speed and athleticism is his calling card. At 6’6” with 4.5 speed he is a nightmare matchup for opposing defenses. He will stretch the field and should fit in well with this offense. One of my concerns for Green is the offseason ankle surgery he had done to repair an injury that plagued him for the later part of the 2015 season. This surgery has caused him to miss OTAs and the opportunity to begin building a rapport with his new quarterback. He has hopes to make it back for training camp but the situation needs to be monitored. At 82 he is the eighth tight end off the board. Playing in an offense this explosive could allow him to exceed that ranking, but that price is a bit stiff for me. My standing policy on tight ends is if I don’t get the best one (Gronk), I will wait and be one of the last to take one in a 12 team league. The schedule makers really didn’t do the Steelers any favors. That Week 11-15 stretch is brutal. The pass defense has to improve if this team is going to make a serious run. Having an offense that might average 30 points per game will help. Check back next week for a preview of the Ravens. 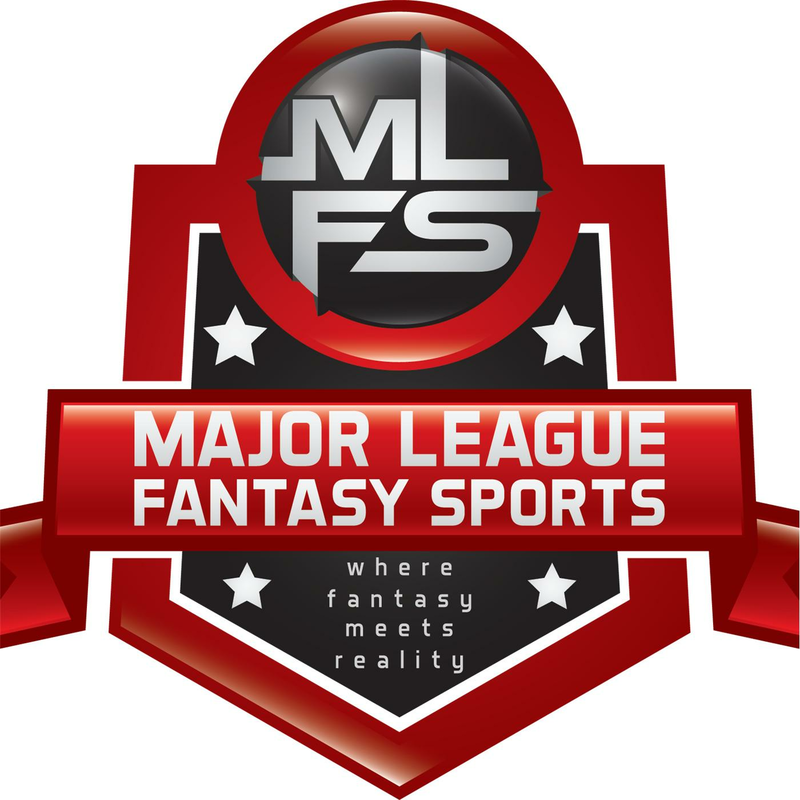 Major League Fantasy Football Weekly: Join Corey D Roberts, Zak Sauer, and Coach Jeff Nelson live Saturday June 11th, 2016 from 1-2:30pm EST for episode #22 of Major League Fantasy Football Weekly. We will run our show on Saturday until August 27th, and then move back to Tuesday nights from 8-10pm EST on September 13th. This is a live broadcast and we do take callers at 323-870-4395. We will discuss the AFC North from a NFL and fantasy football perspective. Major League Fantasy Baseball Radio Show: Join Corey D Roberts on Sunday June 12th, 2016 from 7-9pm EST for this week’s episode of the Major League Fantasy Baseball Radio Show. We are a live call in radio show so we encourage callers at 323-870-4395. Press 1 to speak with the host. Every week we will do a quick recap of Fr-Sat games, and a forecast of Monday through Thursday’s games. Our guest this week is Hernan Batista. Hernan is a veteran fantasy baseball player as well as a veteran owner in Major League Fantasy Baseball leagues.